From one of the most iconic pieces of military uniform, to one of the most iconic pieces in fashion; the trench coat is so much more than an accessory. The history of the trench coat dates back over 150 years, and we are going to delve deeper into the folds of this stylish and essential piece of outerwear. This classic coat has a long and varied history, which all contribute to the modern take of the trench. 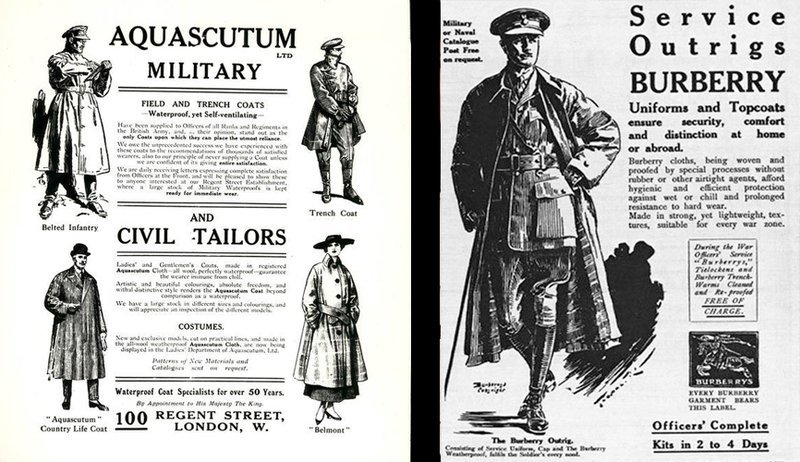 Originally developed even earlier than the First World War, the trench coat was used as an item of clothing worn Army officers. It was adapted to be worn quite literally in the trenches; hence where the coat gets its name. It was during the Great War that this classic garment took the shape and style that so many of us still wear today. The classic style of the coat still has these military influences. Soldiers in WW1 wearing their trench coats. 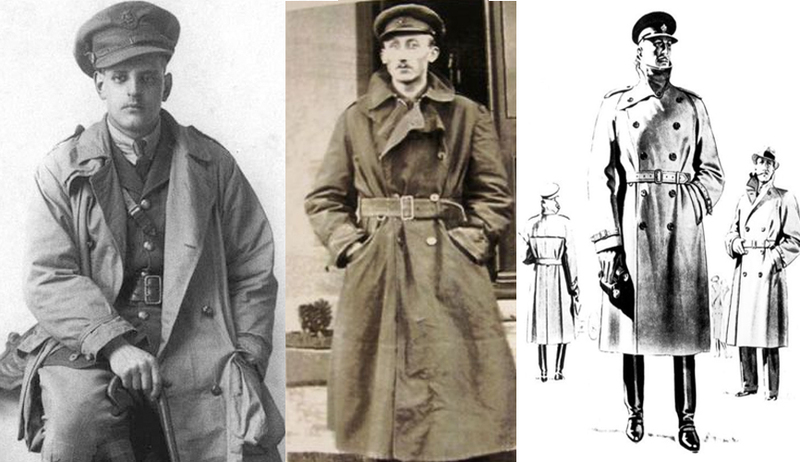 The history of the trench coat actually starts almost 100 years before World War I. It is documented that from 1823 there was a form of rubberised cotton that was being used to create outerwear for both men and women. This fabric was revolutionary, as it was weatherproof, and it began to be used for both military and civilian use. These styles of coats were called “macs” and were named for their inventor, Charles Macintosh. As amazing as this fabric was for keeping the wearer dry and warm, they did have one major flaw – the fabric was not breathable, thus, sweat was kept in. As well as this, the fabric also had a rather unpleasant smell and could even “melt” in the heat of the sun. Regardless of these shortcomings, macks were used throughout the 19th century by Army personnel. In 1853, John Emary developed and patented a fabric that was just as water-repellent as the original rubberised cotton, but was (thankfully) less smelly and more breathable. Emary renamed his company to what we now know as Aquascutum. This name comes from the Latin words “aqua” and “scutum” which translates to “water” and “shield.” This name directly refers to Emary’s focus on designing weather-proof clothing for the gentry. Emary claims to have created his version of the trench for officers serving in the Crimean War. Burberry founded his business in 1856. Yes this is the Burberry that is still rocking the fashion world today. in 1879, the young draper invented “gabardine.” This was a waterproof twill fabric that was also breathable. It was created by actually coating the individual yarns of cotton or wool. This was a big leap from the original fabric that was used to create the macs, where the entire piece of fabric was coated in one go. Burberry delivered plans for his new raincoat to the United Kingdom War Office in 1901, where it was accepted. Both Emary and Burberry’s fabrics were very popular with all types of gentry; from sporty types and explorers to the upper class and aviators. 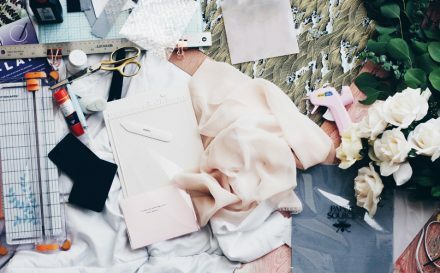 It is clear to see why these fabrics became an essential for military uniform. It is still unclear who truly invented the trench. Both companies had connections to the British military establishment, and both Emary and Burberry had previously developed weatherproof clothing similar to the trench. Adverts by Aquascutum and Burberry. The trench coat is so much more than a piece of outerwear. We have already seen the importance of the fabric, and how its development helped officers of the army stay dry and camouflaged. The classic khaki and beige colours of the trench helped officers to stay as concealed as possible. There are many other aspects of the coat that were developed specifically to assist soldiers at war. The trench coat was designed to protect from wind and rain. They were not the warmest coats, however, they were supplied in a large size so that warmer coats and layers could be worn underneath them. In past wars, soldiers wore greatcoats. These were long overcoats of serge; a thick fabric made from wool. They were very heavy, long and cumbersome, despite being warm (when dry that is!) In the trenches, the long greatcoats proved to be somewhat of a problem. They were very long and heavy, and would become weighed down with mud, making them even heavier. Soldiers found it difficult to use their equipment while wearing them. The trench coat was a welcome relief, as it was lighter, easier to move it, shorter and offered a great many uses, as well as being weatherproof and warm. In short; it was a very useful garment and much more than just a coat. 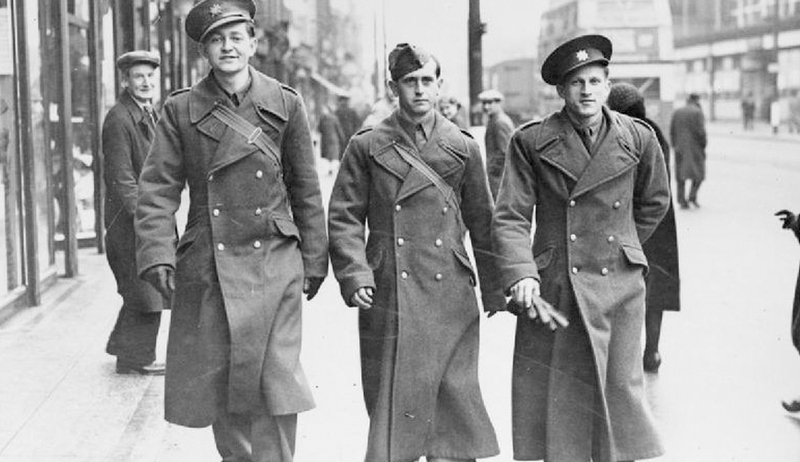 During World War I however, the trench coats were issued only to British Officers and Warrant Officers 1st Class. It wasn’t available for soldiers of lower rank. This also helped to establish the trench as a coat of high standards and class. After the war, Officers grew somewhat attached to their coats, and continued to wear them at home. Burberry and Aquascutum were leading menswear and sportswear designers at the time. This only added to the trench coat’s popularity in civilian life. They continued to be seen as a coat of distinction and recognition. When World War II started, the trench was still the coat of choice for officers in the field. Other countries saw how practical and popular these coats were and adapted them for the use of officers and soldiers in their armies. The style of the coat began to be adapted slightly for field use, and eventually shorter versions became available. These field jackets were a little more versatile and allowed soldiers to have more freedom and mobility. As well as being the coat of choice in the trenches and battlefields, the trench started gaining somewhat of a celebrity status in period between the World Wars. 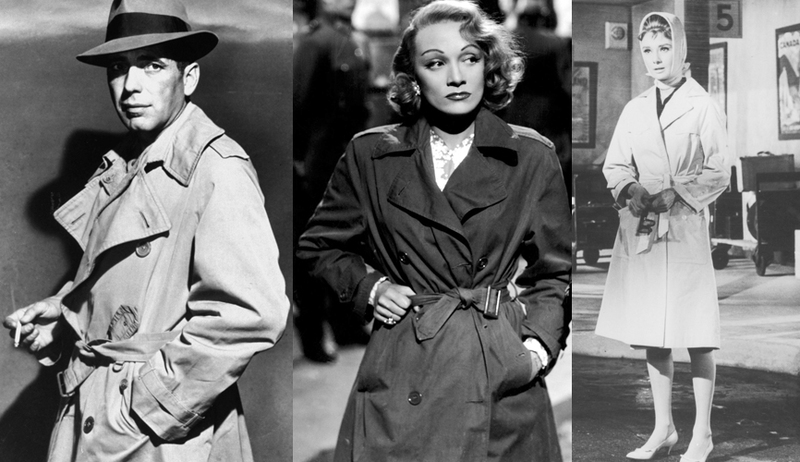 The golden age of Hollywood paid homage to the trench and it was seen in various films, being worn by stars of the silver screen. Detectives, gangsters, femme fatales and leading men could be seen wearing the iconic garment. In 1941’s The Maltese Falcon, Humphrey Bogart wore an Aquascutum Kingsway trench. He also wore it in infamous scenes in 1942’s Casablanca and 1946’s The Big Sleep. Leading ladies such as Marlene Dietrich and Audrey Hepburn were also dressed in the alluring coats. These powerful roles, along with their firm establishment in the military made the trench coat an even more enviable and covetable item. They were effortlessly cool and carried the attitude and persona of the powerful, fearless, brave, and mysterious. From Royalty to film stars, the trench became as important a piece of fashion as blue jeans. It incorporates style and function, with a history that makes it all the more amazing. Hollywood royalty Humphrey Bogart, Marlene Dietrich and Audrey Hepburn all wearing their trench coats. So where does the trench coat sit today? It continues to be a fashion staple and an iconic garment that can be seen almost every year on catwalks all over the world. Burberry continues to be leaders in trench coat production; creating styles for men and women that evoke a sense of fashion prowess and impeccable taste. 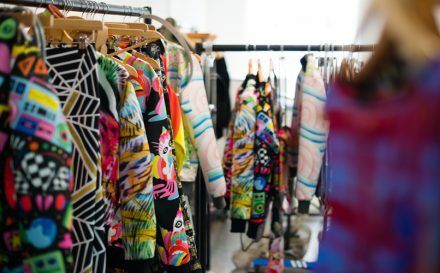 During the 1990’s, the fashion house breathed new life into the trench, offering avant garde variations; including bright colours, prints, and fabric details ranging from lace and satin to python skin. Where once this coat was limited to the safe colours of camouflage; khaki, beige and black, designers now have fun with it, and the trench has been created in all colours of the rainbow, including eye-catching metallics. From Humphrey Bogart, to Audrey Hepburn, to Kate Moss, to Cara Delevingne and Jourdan Dunn, the trench has come a long way from the mire of the trenches. Certain features remain ever popular; the wide lapels, epaulettes, large pockets and belted waist. 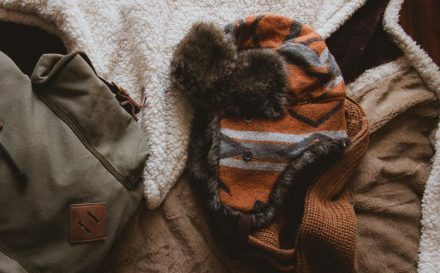 The lightweight fabric and weatherproof finish also remain a staple characteristic. A recent Burberry campaign of their iconic trench coats. This classic coat has endured through the decades, and is still seen as one of the most revered and iconic items of clothing ever invented. As exciting and relevant as its present and future are, the origins of the trench coat, and its importance to its original cause, should never be forgotten. 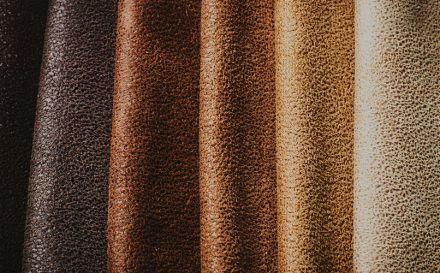 Explore trench coat fabrics and over hundred other materials with your very own fabric swatch pack. Understand the texture, strength and finish of trench coat fabrics by taking a hands on approach.